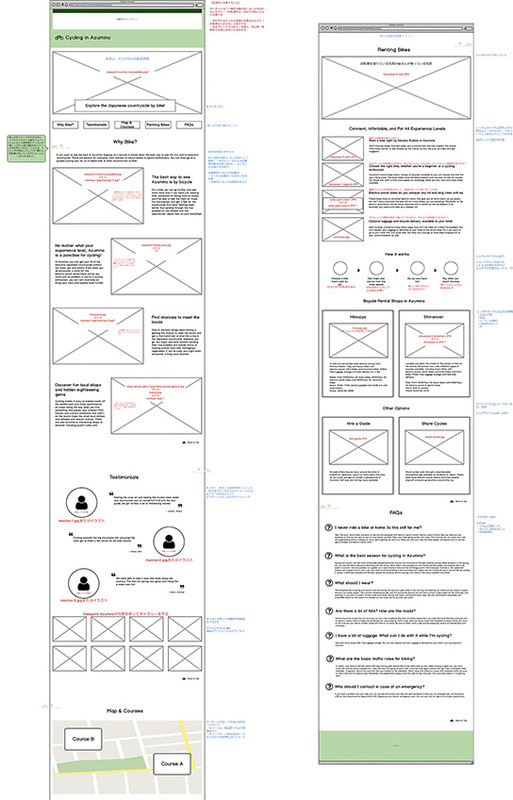 It's not often that we get to work on a web page from complete scratch. Usually the content is already decided—most of the time the content is Japanese text that get translated into the target language, the images are already provided, and sometimes there is a design done as well. This time the assignment was a bit different. 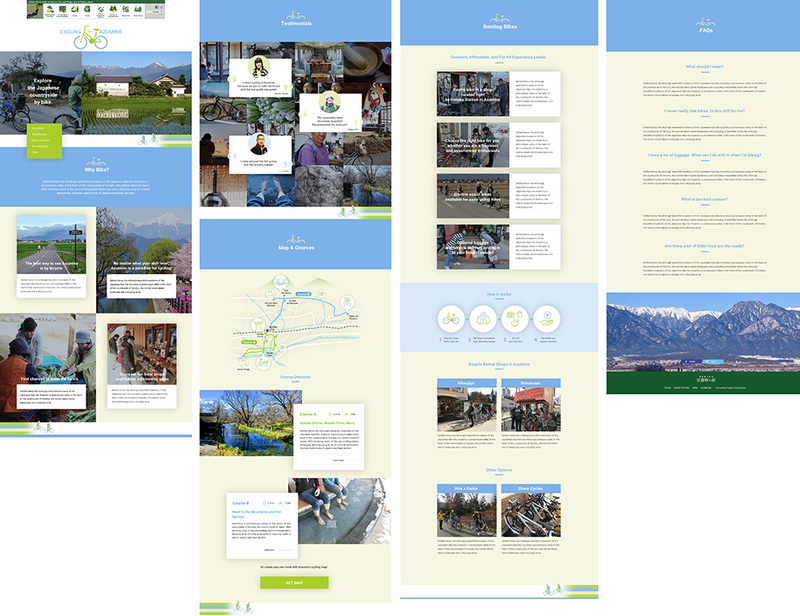 Working with another local organization, we were to build a special feature page for the English version of the Azumino Tourism website that would highlight renting a bike and cycling to see the city. 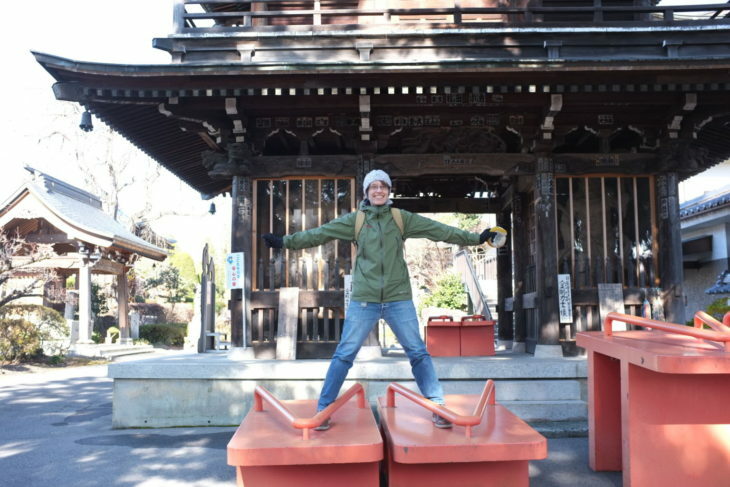 The content would be created from the perspective of a foreign traveler and be written by a non-Japanese person (in this case, me) instead of being translated from Japanese text written by a Japanese person. Not only that, the exact content would not be decided until a group of foreign residents went on an actual bike tour in Azumino and gave their opinions about the experience. Photos taken by the tour participants would also be used for the new page. After the tour and participant interview and survey, we decided the content should include a section outlining "why" one should bike in Azumino in the first place, testimonials from the participants, a map and recommended courses, how and where to rent bikes, and an FAQs section. The next step was creating a wireframe and a design. The design was to have a bright and fresh feel that would make reading the page fun while making it easy to find the information you're looking for. The recommended courses were built out in separate pages and include plenty of photos and custom Google maps. All the writing was based on the actual experience of visiting the places and experiencing what it was like to cycle around Azumino's countryside. While it was quite a challenge, being involved in almost the entire process of creating this special page, from the concept to the bike tour, to the design and construction, was a great experience! 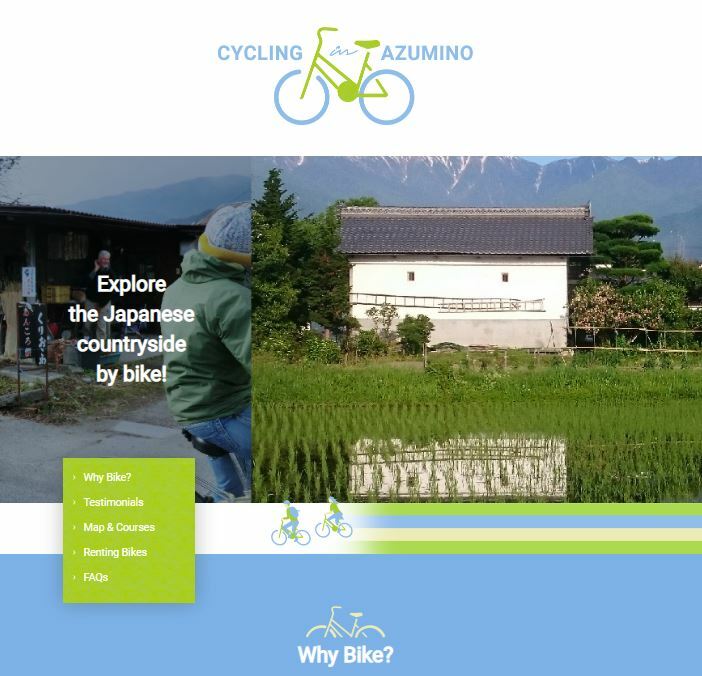 Do check out the new "Cycling in Azumino" page when you get a chance! Copyright © 2019 MT Laboratories. All Rights Reserved.